Inspired by the slowly simmered, heavily seasoned cuisines indigenous to North Africa, this Moroccan tagine by Le Creuset is a classic example of form following function. Featuring an enameled cast iron design for long lasting durability, it distributes heat evenly and efficiently, eliminating hot spots and keeping your food warmer for longer. With an enameled cast iron base that requires no seasoning, this tagine features a stoneware lid that is designed to circulate heat and moisture. Perfect for making Middle Eastern meat recipes, roasts, and more, its distinctive lid allows for the constant return of condensation to the base for moistening ingredients and tenderizing tough fibers within the meat. 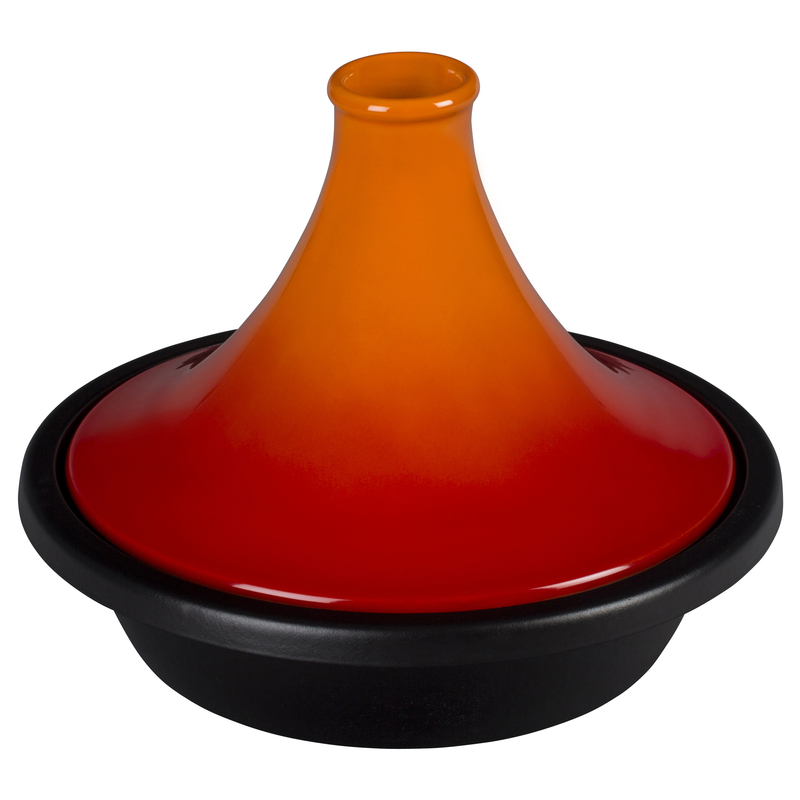 Induction ready, safe for use on all heat sources including oven and broiler safe up to 500 degrees Fahrenheit, this tagine is backed a manufacturer's limited lifetime warranty and is dishwasher safe.